2016 Honda Civic LX with only 50k miles. This civic is in great shape and runs and drive just as good as it looks! The exterior black paint has a nice shine and has no scratches or dents anywhere. The car has a clean interior as well, with no signs of smokers or pets and no signs of wear anywhere. The car drives and shifts smooth and at 40+ mpg you really appreciate Hondas engineering! The car is still covered by Honda Factory warranty and coms approved for any of out extended plans as well! We offer credit union financing at great rates! Visit us at www.macsautoworld.com or stop by and see us today! 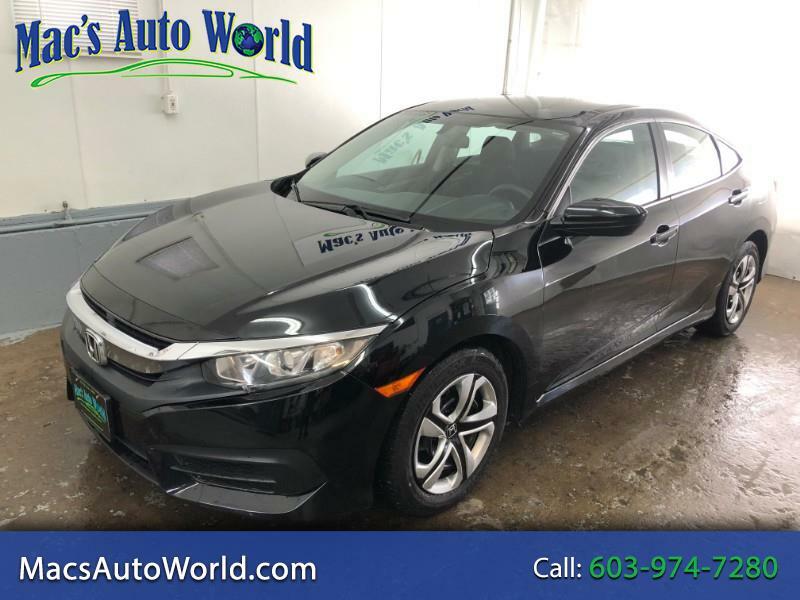 Visit Mac's Auto World online at macsautoworld.com to see more pictures of this vehicle or call us at 603-974-7280 today to schedule your test drive. Message: Thought you might be interested in this 2016 Honda Civic.